The manufacturer is promising 64 GB/s from a single GDDR6 package for future applications in artificial intelligence, networking, automotive, and of course, graphics. Example modules will be on display this week at the ISC 2018 conference in Frankfurt, Germany. These same chips will very likely target the next generation of consumer graphics cards. Nvidia has been very quiet and nonchalant about the inevitable successor to its current Pascal generation of GPUs. After all, the chipmaker is sitting on its throne with no real competition from AMD in the high-end enthusiast GPU space and can thus afford to make the world wait. Everybody else, however, has been strongly hinting at the launch of the GTX 1180/2080 coming in the next few months. The latest hint is perhaps the most direct clue we have so far. Micron, one of the world's largest manufacturers of DRAM, has officially announced mass production plans of 8 Gb GDDR6 memory for "networking, automotive and graphics markets". The maker is specifically targeting "advanced GPU applications" like games, editing software, VR/AR, and even crypto-mining. Micron's GDDR6 production timing certainly lines up with all the existing rumors of the impending successor to Pascal. Reports from April have indicated that Turing would have 8 GB to 16 GB of GDDR6 VRAM with prices as high as $1500 USD for the higher-end SKU. GDDR6 would compete with the Samsung-developed High Bandwidth Memory (HBM) series currently in use on some AMD and Nvidia workstation GPUs. 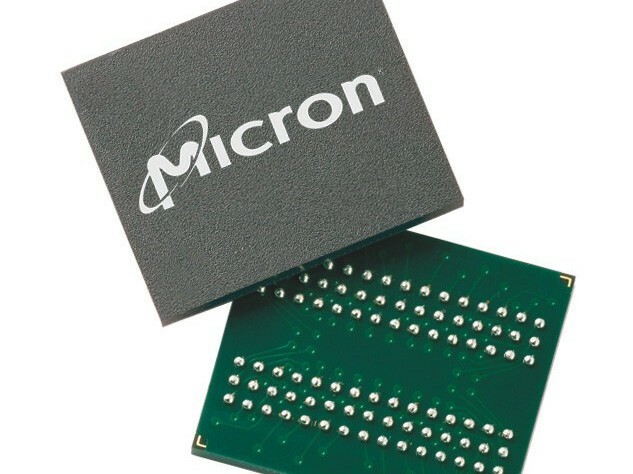 Micron Technology, Inc. (Nasdaq:MU) today announced volume production on its 8GB GDDR6 memory. 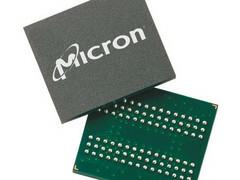 Built on experience and execution for several generations of GDDR memory, GDDR6 - Micron's fastest and most powerful graphics memory designed in Micron's Munich Development Center - is optimized for a variety of applications that require high performance memory, including artificial intelligence (AI), networking, automotive and graphics processing units (GPUs). Additionally, Micron has worked with core ecosystem partners to ramp GDDR6 documentation and interoperability, enabling faster time to market for designs. Artificial Intelligence — Artificial intelligence, machine learning, deep learning are memory intensive applications that require more bandwidth from memory solutions. GDDR6 delivers the higher bandwidth required to accelerate AI in applications like computer vision, autonomous driving and the many other applications that require this higher bandwidth. Graphics — Enabling significant performance improvements for today's top GPUs, GDDR6 delivers enhanced graphic memory speeds to enable higher application bandwidth. Micron GDDR6 will be a core enabling technology of advanced GPU applications, including acceleration, 4K video and improved rendering, VR/AR and crypto mining applications. Networking — Advanced networking technologies require access to high speed/high bandwidth memory. GDDR6-powered smart Network Interface Cards (NIC) enable significant improvements in network bandwidth. Additionally, high bandwidth RAID controllers featuring GDDR6 memory deliver dramatic enhancements to data access and protection. Automotive — As auto manufacturers push for autonomous vehicles, high performance memory is required to process the vast amounts of real-time data required to make this technology a reality. Micron GDDR6 delivers 448 GB/s auto qualified memory solutions, that deliver more than double the bandwidth of LPDDR5 automotive memory solutions. "As demand for advanced automotive applications such as ADAS and other autonomous driving solutions grows, the need for high bandwidth memory in automotive will grow as well. Advanced high bandwidth GDDR6 memory solutions are a key enabling technology for autonomous vehicles and will be an important tool for the automotive industry as they develop next generation transportation initiatives," said Kris Baxter, vice president, Marketing, Micron's Embedded Business Unit. Targeting up to 64GB/s in one package, GDDR6 brings a significant improvement over the fastest available GDDR5. This unprecedented level of single-chip performance, using proven, industry-standard BGA packaging provides designers a powerful, cost-efficient and low-risk solution using the most scalable, high-speed discrete memory available to the market. In order to deliver this leading edge high bandwidth memory technology to customers, Micron is working directly with ecosystem partners in order to enable learning on both pre-silicon verification as well as validation. Prior to mass production of GDDR6 memory, Micron shipped early validation silicon to our ecosystem partners to accelerate engineering efforts behind validating intellectual property and build robust models and toolsets in the ecosystem and deliver board layout validation. This ensures that engineers are able to implement GDDR6 in designs at a faster rate and bring bandwidth intensive applications to the marketplace. These ecosystem partners include Rambus and more. "With nearly 30 years' experience in implementing designs for high-speed interfaces, Rambus is the first IP provider to launch a comprehensive GDDR6 PHY solution for next-generation AI, ADAS, networking and graphics applications and continues to be at the leading edge of implementing industry standards. We are proud to work with Micron and other ecosystem partners to help customers accelerate time to market for GDDR6 designs and deliver the most advanced solutions based on GDDR6 memory," said Frank Ferro, senior director of product marketing, Rambus. Micron GDDR6 memory solutions will be on display in booth B-1340 at ISC 2018, June 24-28, in Frankfurt, Germany. For more information, visit www.micron.com. ©2018 Micron Technology, Inc. All rights reserved. Information, products, and/or specifications are subject to change without notice. All information is provided on an "AS IS" basis without warranties of any kind. Drawings may not be to scale. Any dates are estimates only. Micron, the Micron logo, and all other Micron trademarks are the property of Micron Technology, Inc. All other trademarks are the property of their respective owners.